It’s not that easy to understand what our organism cells (and especially muscle ones) require for normal metabolism of certain bio-chemical reactions that determine their growth and safety. One of important means to influence these reactions is vitamin taking. Mineral and vitamin supplements are necessary for provision of numerous regulating reactions; that’s why their shortage leads to metabolism disorders and health problems. It’s difficult to overestimate necessity of vitamins and minerals: such usual factors as physical activity, diets, stresses, environmental pollutions can lead to vitamin shortage; and you can live without even suspecting it. Still such vitamin deficit will reveal itself through unhealthy hair, skin, nails, incorrect amino acids assimilation, weight loss, muscle spasms, low energy level and, in case nothing is done, through diseases. vitamin supplements and minerals are especially necessary for those who, due to different reasons, are not able to stick to a balanced diet. If you either don’t want or cannot balance your nutrition then you should at least provide yourself with vitamins and minerals in capsules. It goes without saying that there’s nothing better than healthy nutrition, natural fresh and unrefined products: if you keep this kind of diet, most probably, you’ll need no vitamins and minerals in capsules at all. In total, a complex vitamin supplements (capsule) can include more than 68 vitamins, minerals and microelements (including rare ones). After hard physical loads (regardless year seasons) our organism needs increased portion of vitamin supplements: in some cases our daily food ration cannot grant us with this increased amount. When it happens we have to use special vitamin preparations and supplements that include special missing vitamins or vitamin and mineral complexes. vitamin supplements and mineral complexes and separate vitamins (C, B and E) should be taken regularly each day. 10. vitamin B12: performs a lot of important functions including carbohydrate metabolism regulation and provision of normal activity of nerve fibers (spinal cord and peripheral nerves). Muscle stimulation with the help of nerves is the key stage of any movement performing. 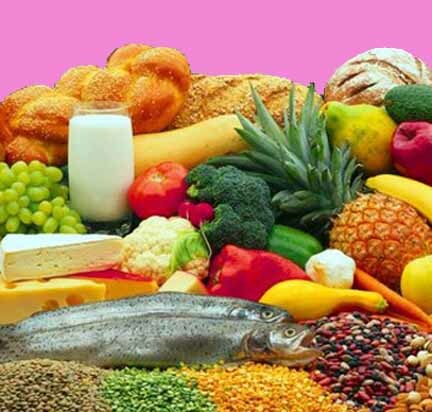 9. vitamin H: plays important role in amino acid metabolism and receiving energy from different sources. This vitamin should take attention of those who wants to stick to balanced nutrition. 8. vitamin B2: takes part in three processes of energy release: glucose metabolism, fatty acid oxidation and hydrogen assimilation in the Krebs cycle and, what is very important for bodybuilders, riboflavin also regulates protein metabolism. There’s a direct dependence between ‘lean’ body mass (without fat) and riboflavin amount in food. 7. vitamin A: improves eyesight but sportsmen should also know its other benefits: firstly, vitamin A takes part in protein synthesis – the main process for muscle mass growth; secondly, it takes part in glycogen accumulation – the main energy ‘depository’ of our organism; thirdly, it’s directly connected with vision process because it’s a part of light-sensitive eye cells (in the form of its derivative – retinal). 6. vitamin E: is antioxidant defending our cell membranes from different damages. Antioxidants reduce the quantity of free radicals in our organism. Free radicals are by-products of cell breathing; their accumulation lead to destruction and degeneration of cell structures (that can result even in cancer). 5. vitamin B3: takes part in metabolism processes responsible for energy provision and is especially important for provision of muscle nutrition during trainings. Sportsmen’s blood carries a lot of niacin after each training session; and this appears to be the sign of an increased need of our organism in niacin during hard trainings. On the other hand, our body is able to synthesize niacin on its own from tryptophan that can be found in proteins (in particular, in turkey meat). 4. vitamins of group D (D2 and D3): play the key role in the process of assimilation of calcium and phosphorus. Bodybuilders often neglect products rich in vitamin D (for example, dairy products) due to their high fat level. 3. vitamin B1: It pumps muscles! Thiamine is one of the main components of the process of protein synthesis and cell growth. It also takes part in haemoglobin production – a blood component that carries oxygen to all tissues. Oxygen provision of muscles is extremely important during hard trainings. 2. vitamin B6: takes part in protein metabolism, growth process and carbohydrate assimilation. It’s necessary for all sportsmen in increased amounts because it’s likely to increase training efficiency. 1. vitamin C (ascorbic acid): is the ‘king of vitamins’. Vitamin c is antioxidant that protects our cells from free radical damages, speeds up the process of their recovery and growth. This vitamin also takes part in amino acid metabolism and assists assimilation of iron that’s necessary for haemoglobin (the main oxygen ‘transport’) production. One more important thing about vitamin C: ascorbic acid takes part in the process of steroid hormones (including testosterone) synthesis. I remind you once again that microelements and vitamin complexes are much more important than nutrients because the last ones won’t be assimilated in the right way without required vitamins and minerals. You should understand this very clearly and make right conclusions.